The winners of the 36th Annual Green Room Awards were announced on Monday at Melbourne’s Comedy Theatre, with Opera Australia’s Die Meistersinger taking out best Production in the Opera category and Beautiful: The Carole King Musical taking five of the 12 Musical Theatre categories, including Female Lead, Direction and Production. The ceremony, hosted by Anni Davey and Maude Davey, celebrated work presented on Melbourne stages in 2018. 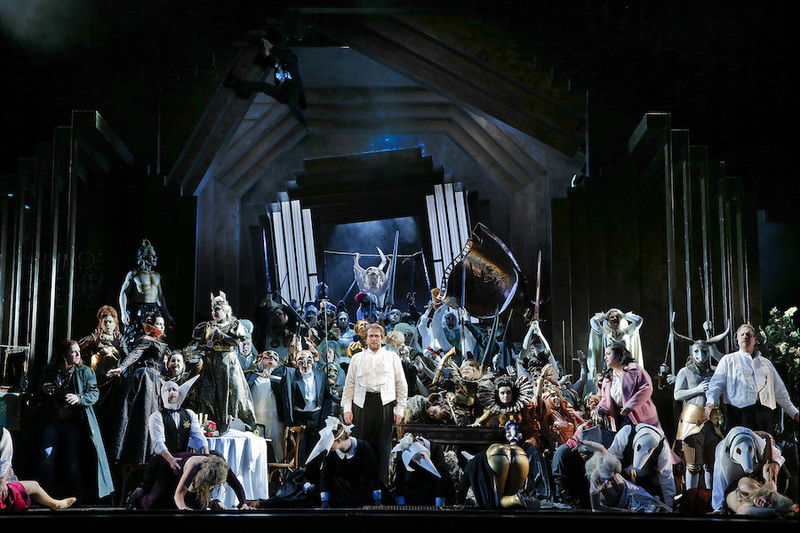 In addition to best Production, Die Meistersinger saw Danish director Kasper Holten take out best Direction, and tenor Nicholas Jones awarded the Male in a Supporting Role category for his performance as David. Opera Australia also took out the Male Lead category for Italian bass Ferruccio Furlanetto’s performance in Don Quichotte. Soprano Siobhan Stagg was awarded best Female Lead for her Mélisande with Victorian Opera, with the company also picking up the Design category for Marg Horwell’s set and costumes for Lorelei, which also won best New Australian Work. Melbourne Opera won awards for Female in a Supporting Role for Dimity Shepherd’s Emilia in Otello, and best Conductor for Anthony Negus’s work in Tristan und Isolde. Lyric Opera of Melbourne picked up the award for Contribution to the Development of Opera in Victoria for Poulenc’s Les Mamelles de Tirésias. 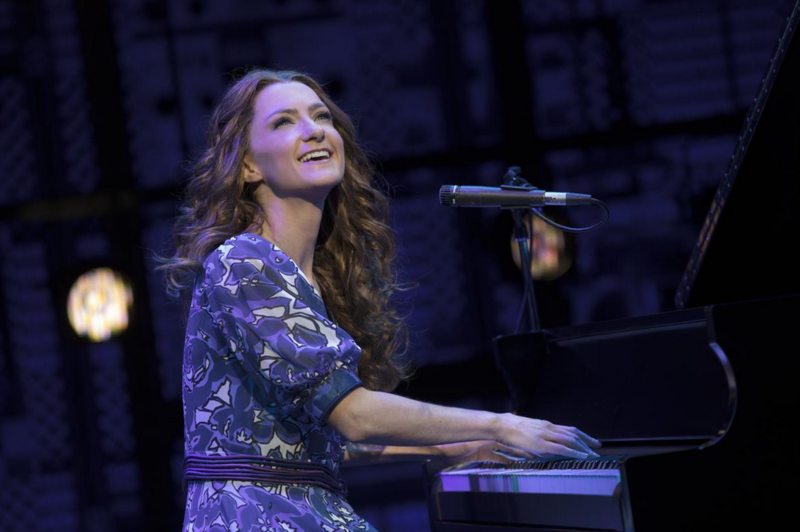 Beautiful: The Carole King Musical won a string of awards, including Female Lead for Esther Hannaford’s performance as Carole King, best Production, Direction (Marc Bruni), Costume (Alejo Vietti) and Set (Derek McLane). The Female Supporting award went to Johanna Allen for A Little Night Music while Male Supporting went to Nick Simpson-Deeks for Falsettos. Brent Hill was awarded Male Lead for his performance in School of Rock, which also picked up Sound (Mick Potter). Lighting went to Gavin Swift for Mamma Mia! The Musical. Musical Direction/Supervision went to Guy Simpson for Opera Australia’s Evita while the Betty Pounder Award for Excellence in Choreography went to Michael Ralph for Bring it On: The Musical. The big winner in the Theatre Companies section was Griffin Theatre Company’s The Bleeding Tree, which took out best Production, Direction (Lee Lewis), Writing/Adaptation for the Australian Stage (Angus Cerini), and Ensemble. Hot on its heels, however, was Malthouse Theatre’s stage adaptation of Lars von Trier’s Melancholia, which won Outstanding Performance in a Featured Role (Maude Davey), Lighting Design (Paul Jackson) and Music Composition and Sound Design (J. David Franzke). Linda Cropper (The Architect) and Pacharo Mzembe (Prize Fighter) took out awards for best Performers, while the Set/Costume/AV Design award went to Elizabeth Gadsby, Mike Greaney (Oh Yeah Wow), Emily Johnson and Verity Hampson for the Malthouse Theatre/Sydney Theatre Company production of Nakkiah Lui’s Blackie Blackie Brown: The Traditional Owner of Death. The Technical Achievement Award went to Roslyn Oades, while the Lifetime Achievement Award went to playwright Patricia Cornelius, who was recently awarded Yale University’s US$165,000 Windham-Campbell Prize for drama. In Dance, Arts House and Jo Lloyd’s Overture won three awards, best Production, the Shirley McKechnie Award for Outstanding Choreography (Jo Lloyd) and Duet or Ensemble Performance. The Performer awards went to Jarryd Madden for his year’s work with The Australian Ballet and Tara Jade Samaya for Chunky Move’s Common Ground. In Cabaret Jude Perl took out the Artiste award for I Have a Face, while best production went to Reuben Kaye, which also picked up Musical Direction (Shanon Whitelock). Crackers n Dip with Chase in Toey picked up the Production award in Contemporary and Experimental Performance, while Jude Anderson received the Geoffrey Milne Memorial Award for Outstanding Contribution to Contemporary and Experimental Performance.